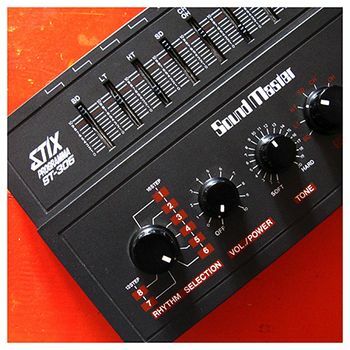 Stix305 Rawtronix, Drum/Percussion Sample from waveshaper. The Waveshaper Stix305 Rawtronix is now available for Beatmaker 2 or Nanostudio on iOS and sold by Sunsine Audio. 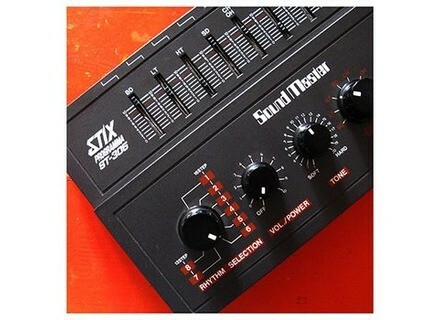 The SoundMaster Stix 305 is a rare analogue drum machine from the early eighties. It was recorded using a tube preamp, a compressor and a vintage EQ. As the Stix305 features few sounds, the editor recorded them at various compression, gain and EQ settings and made several takes of each sound in order to get variations. There is also a dozen of loops plus a more punchy kit, processed using some strong tube distortion. The sample library is available for download at www.sunsineaudio.com/STIX305-Waveshaper-033.htm. Original Wav version is available at waveshaper.12r.org. Tek'it Audio launches Badass 2 Tek'it Audio update its Badass distorsion VST plug-in for Windows in a version 2 loaded with more effects. Boscomac Freezbee and Vertigo Wave French editor Boscomac has released two new free add-ons for Reaktor, respectively a freeze effect and an Ondes Martenot simulation. Softube extends Dyma-Mite RE introductory price Reason 6.5 users who have not downloaded the Valley People Dyna-mite Rack Extension yet can still benefit from the special price until March 15th.